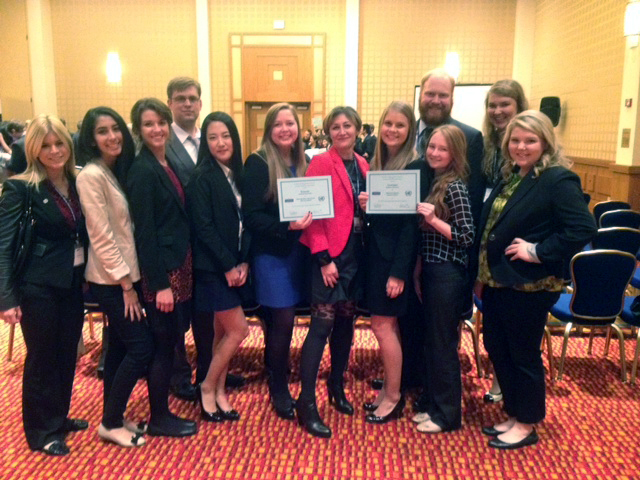 Members of Samford’s Model United Nations (MUN) team earned three awards at the National Model United Nations in Washington, D.C., Oct. 31-Nov. 2. Model United Nations is an authentic simulation of the U.N. General Assembly and other multilateral bodies. Michael Arthur, Marley Davis, Gina Harwell, Lauren Hunt, Gabi Kin and Emily Praktish earned the Distinguished Delegation Award for their representation of Azerbaijan. Juliana Guzman, Emily Hancock, Josh Lay, Katie Peake and Madison Schneider earned the Honorable Mention Award for their representation of Romania. Samford political science professor and MUN advisor Serena Simoni noted that the team competed against 80 schools from the U.S. and abroad.